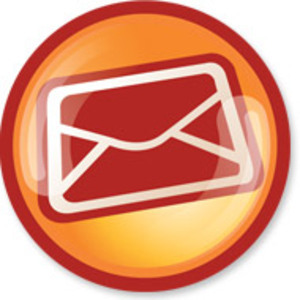 Part 2: Email marketing – one of the most cost effective marketing channels available. A study was recently released showing the latest email marketing trends. There are a few great nuggets of information I will share over the next few blog posts. Definition: Click rate, sometimes referred to as Click-Through Rate or CTR, is a measure of the performance of an email marketing message. Unlike open rate, the click rate represents an exact measure of the performance using data collected as the reader clicks through a link within any given message. Note: Click rates are calculated by dividing the total number of unique clicks by the product of the number of links in each message and the number of total recipients. Click rates declined sharply in 2009, especially in the second half of 2009. The second half decline marks the sharpest decline in either click or opens since we began reporting back in 2004. Tip: The best way to address the live link issues is to ask your email subscribers to add your sender address to their address book. Most email clients will automatically make links live (and show images) if the sender’s address is in the recipient’s address book. Key Takeaway: Stay on top of email client trends – and adapt your email delivery to counteract issues that arise. Ask recipients help – if that means asking for their permission, or asking them to add your sender address to their address book. From: MailerMailer July 2010 Email Marketing Metric report. Next Post LMX – Local Marketing: There’s An Expo For That!